We just got home from an overnight stay at Canyon Cove Residential Beach Resort in Nasugbu, Batangas. My husband’s company provides summer outing each year for its employees, and my husband’s unit at the Treasury Department chose this place this time. As usual, we (Justin and I) went, and as usual, we had so much fun. Check-in time was 3pm, but we were there at 10am. Because we still had to wait for a few more hours before we could go to our room, Justin’s Dad allowed him and his Ate April to frolic on the beach when the sun is at its hottest, but with sunblock, of course! And because Justin was so excited, he never asked for milk the whole day yesterday (Saturday) until 5:55pm today (Sunday). That means great savings for mommy. LOL! The bad thing is most of what he ate since yesterday were junk food. The beach was cool, clear, and inviting. We had the best of both worlds because after the beach, we headed to the pools. Canyon Cove Residential Beach Resort is a nice place overall. Because the place is huge, it can accommodate company day tours/outings for hundreds of employees. The downside is the food is really expensive. It also took forever for our orders to arrive. It’s either they’re understaffed or there were just too many guests at the resort yesterday. Canyon Cove’s room rates are as follows: Php4,700.00 (Superior), Php6,750.00 (Deluxe), and Php7,500.00 (Suite). Rates are inclusive of Breakfast for Two. Checkout time is 12noon. There is an extra charge of Php600.00 per head for every extra person you’re bringing along. 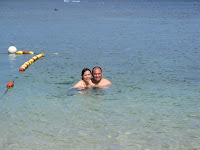 This entry was posted in Canyon Cove Residential Beach Resort, Summer Outing. Bookmark the permalink. Looks like you had a blast. I wanna go to the beach too as it's also super hot here. That looks fun mommy! And the price—not bad malapit pa sa Manila. How are the accommodations? Hope to hear back from you. Canyon Cove is no doubt a nice place but please beware in making reservations with them. I am a prestige club member of Canyon cove but the moment you pay for the membership, they will treat you unaaceptably and will delibeartely ignore your complaints whenever they're at fault. They will accept reservation but you will be surprised at the last minute that they did'nt booked you at all and the worse thing is they will deny and ignores all your calls and complaints as if nothing happened and as if they did'nt ruin your vacation sched.Behind this nice place is an absolutely unsatisfactory and poor service. 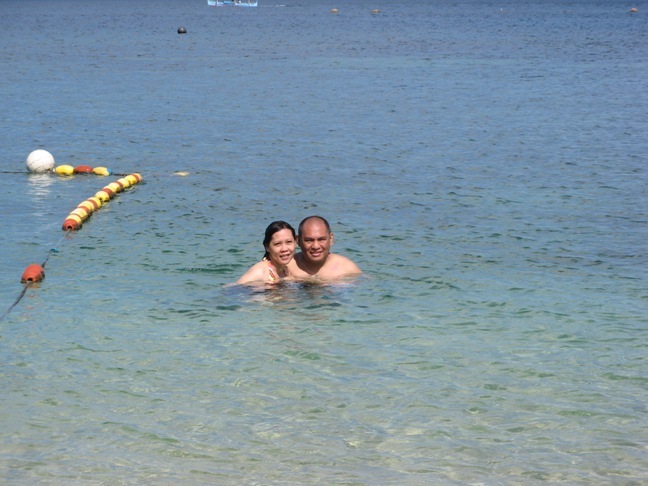 I haven’t been to canyon Cove yet…pero may balak din kami ni Sis..pero baka next summer na.